WTC Building 7 Demolition free fall. Hello Friends and saints of Jesus who is the Christ the King. Tomorrow September 11, 2016 is the 15th anniversary of MURDER of over 3000 innocent Americans in the World Trade Center buildings in NY and the Pentagon in Washington DC. Though Satan has pulled off his scheme to Murder millions in the ensuing planned and designed wars by deception, the Living Saints of Christ Jesus know that God is the Orchestrator, for these things are written for the last days. Since 911, 2001 and after, the Prime Minister of Israel Netanyahu, stated that the Terror was good for Israel, Sanhedrin of Satan was set up and now move forward to “Reveal” that Man of Sin, False Christ, their coveted Moshiach ben David (2 Thes. 2) . Did you people not know that these KINGS were set up for their roles in these last days? I pray that the suspects, all of them will be held accountable on the Day of the Lords Judgement. We must pray for one another in the coming persecution of the Lords Living Saints. 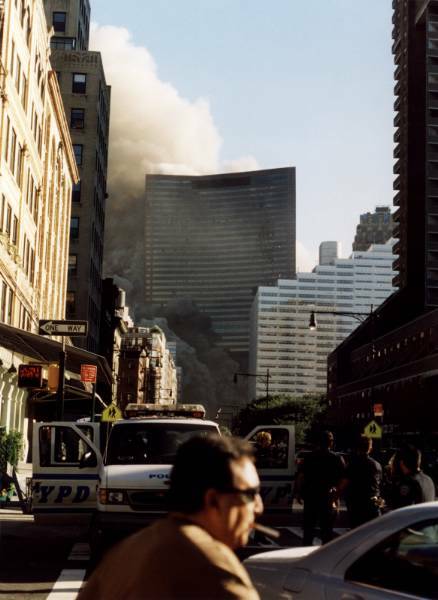 Though, I believe Paul Craig Roberts is oblivious to the spiritual aspect, he has written a wonderful article, showing the report of the European assessment of the Demolition of the WTC Buildings. Dr. Paul Craig Roberts was Assistant Secretary of the Treasury for Economic Policy and associate editor of the Wall Street Journal. He was columnist for Business Week, Scripps Howard News Service, and Creators Syndicate. In a few days it will be the 15th anniversary of 9/11, and this November 22 will be the 53rd anniversary of the assassination of President John F. Kennedy in Dallas, Texas. These two state crimes against democracy destroyed American democracy, accountable government, and the Constitution’s protections of civil liberty. Years after the damage done by these events, the American people no longer believe the official stories. Neither does the government, but the government will never validate the distrust that Americans now share of the oligarchs’ government by acknowledging the truth. The CIA’s psych warfare against the public succeeded at the time and for a number of years during which witnesses had mysterious deaths and the trail grew cold. But by the late 1970s there was so much public skepticism of the official story that the US Congress took the risk of being labeled “conspiracy kooks.” The House Select Committee on Assassinations reopened the inquiry into JFK’s murder. The House Committee concluded that the Warren Commission’s investigation was seriously flawed, that there was more than one person firing at President Kennedy and that there was a conspiracy to assassinate JFK. The corrupt US Department of Justice (sic) contradicted the House Select Committee’s report. However, the American people believed the Select Committee and not the corrupt Justice (sic) Department, which never tells the truth about anything. In a few days it will be the 15th anniversary of the alleged al Qaeda attack on the World Trade Center and Pentagon, and we are witnessing the fading protection that the charge of “conspiracy theorist” provides for the official government story. Indeed, the official 9/11 story is collapsing before our eyes. Europhysics, the respected publication of the European physics community, has published an article by scientists who conclude that “the evidence points overwhelmingly to the conclusion that all three [World Trade Center] buildings were destroyed by controlled demolition.” Few American scientists can admit this, because their careers depend on US government and military/security complex research contracts. Independent scientists in the US are a vanishing breed, an endangered species. So now we are faced with a peculiar situation. The scientifically ignorant two-bit punk American presstitutes claim to know more than the editors of the journal of the European physics community and the scientists who did the investigation. Don’t you think it farfetched that ignorant, corrupt, and cowardly American journalists who lie for money know more than physicists, chemists, 2,600 high-rise architects and structural engineers who have called on the US Congress to launch a real investigation of 9/11, firefighters and first responders who were on the WTC scene, military and civilian pilots and former high government officials, all of whom are on record challenging the unbelievable and physically impossible official story of 9/11? What kind of a dumbshit moron does a person have to be to believe that the United States government and its media whores know better than the laws of physics? The ability of the presstitutes to influence Americans seems to be on the decline. The media ganged up on Donald Trump during the Republican primaries, intending to deny Trump the nomination. But the voters ignored the presstitutes. In the current presidential campaign, Hillary is not the run-away winner that the presstitutes are trying to make her. And despite the propaganda ministry, the legs under the official 9/11 story are wobbly, to say the least. So, in America today “conspiracy kooks” outnumber those who believe the official lies. As the official lies are themselves conspiracy theories, Americans who disbelieve the official conspiracy theories outnumber Americans who believe official conspiracy theories. The question is: who are the real conspiracy kooks, the majority who disbelieve the official lies or the minority who believe the official lies? It is curious that the CIA’s psych-op mind-control has broken down in the cases of the JFK assassination and 9/11, but is still effective in more recently orchestrated events, such as San Bernardino, Orlando, Paris, and Nice. Perhaps this is because not enough time has passed for the public to pay attention to the vast difference between the stories and the evidence. Watch this video and ignore the narrator’s four-letter vocabulary. https://www.youtube.com/watch?v=ytM-cYfLxzk What you will learn is that all those people you saw running in the presstitute TV reports had no idea why they were running. The presstitutes created the impression that they were running away from the truck. However, as the interviews show, they were running because other people were running, because the police told them “terrorists, run,” and because they heard shots (apparently police firing blanks). Those interviewed reported, “You run with them even though you have no idea what you are running from. You can’t help it, you run with them.” None of those running away ever saw a truck. According to the foul-mouthed narrator, the film of the people running away was taken prior to the time the truck allegedly mowed down 185 people, killing 85 of them. The narrator appears to be correct if the time stamps on videos are correct. The narrator says the streets needed to be cleared for the crisis actors to put on their show that is used to control our minds about what happened. I have pointed out that a truck that hit 185 people, killing 85 of them would be covered in blood and that bodies would be splattered all over the street with blood everywhere. Yet, the photos and videos that we are shown show no such evidence. The stopped truck on which police are directing gunfire is as white as snow. Independently of the vast analysis online of the video evidence of the alleged “Nice attack,” I suspect the Nice “terror attack” for the same reason that the Pentagon attack is suspect. Despite all the contrary evidence against the official stories, the authorities refuse to release the video evidence that, if it shows what the authorities claim, would shut up the skeptics and prove the official story. When a government claims it has video evidence that proves its official story but refuses to release it, indeed, demands the destruction of the video evidence, we know for an absolute fact that the video evidence totally contradicts the official story. That is the only possible conclusion. My readers will write to me asking how the government expects to get away with its faked, and in the case of 9/11 false flag, terror orchestrations? The answer, perhaps, is that just as it took a long time for the JFK assassination and 9/11 lies to catch up with the government, the recent orchestrations will also take some time for a slowly awakening public to catch on. In the meantime the orchestrated events will serve the agendas that they are intended to serve, and by the time that the public sees through the orchestrations, a new situation will be in place with new orchestrations. Keep in mind that the public thinks it is shown evidence. Newspapers need photos to give a visual dimension to their coverage, and TV needs videos of the events. News organizations are under a time pressure, and they have to use what they are handed or what is at hand. There is no time to scrutinize the visual material or to raise questions about it. Most of the public thinks that the photos and videos shown to them are evidence or would not be shown and accepts the visual evidence without question. In an earlier column I linked to the vast array of Nice photos provided in the UK Daily Mail. The photos show a calm situation. There are a few people lying in the street without any sign of bodily damage or blood and there are covered objects that the public assumes are dead people. But the streets are devoid of the splattered blood and mangled bodies that would be the consequence of a truck hitting 185 people. Similarly, we have been shown very few videos and their origin is unknown except for the one attributed to Richard Gutjahr who was apparently pre-positioned to film inconclusively both the Nice and German “terror attacks.” Online analysis of the videos shows that the videos are not evidence for the storyline. The real question is why the French Interior Minister has prevented the release and demanded destruction of the security camera videos that filmed the entire event, an order that brought the central government in Paris in conflict with the public authorities in Nice. There has been no US media interest whatsoever in this very strange event. It is not a “conspiracy theory” to ask why the public cannot see the video evidence that shows what actually happened. The largest French bank was forced to hand over $9 billion to Washington for doing business with a country on Washington’s disapproval list. Washington forced France to cancel a lucrative ship-building program for Russia, to the detriment of French companies and shipyard workers. Washington has forced France into a diplomatic conflict with Russia that the French do not want and into a looming military conflict which the French want even less, as the conflict would mean the vaporization of France. As one Russian SS-18 can wipe out three-fourths of the state of New York, how many do you think it would take to wipe France off of the face of the Earth? Not even a handful. Keep in mind that in 1966 President Charles de Gaulle pulled France out of NATO on the grounds that it was necessary to preserve French independence in world affairs. France did not again submit to Washington’s control until 2009 when Washington-owned Nicolas Sarkozy, put into the French presidency by Washington’s money, followed his orders and rejoined NATO. The Paris and Nice orchestrated events serve to scare France back into Washington’s arms. Dreams of independence become nightmares when independence leaves the French people at the mercy of both terrorists and Russians. Washington, who owns Sarkozy, who is once again Washington’s candidate for president of France, intends to keep France in NATO. The article in Europhysics pointing out the impossibility of the official 9/11 story could possibly lead to a rebirth of skepticism among Europeans. Only a skeptical media willing to investigate government storylines can bring a halt to the staged terror events that serve secret agendas. Keep in mind that the US government has plentiful video evidence of the 9/11 attack on the Pentagon but refuses to release the evidence that it says support its story. Similarly, the French federal government has prohibited Nice authorities from releasing the security camera videos of the Nice truck attack and has ordered the video evidence destroyed. How can we believe governments that refuse to show us the hard evidence? And but of course when information of this kind is released the “Shem” Sham of Shame kicks in to recovery and repair. After all you are anti-Shemitic against their Shemithahs and their Ha-shem g-d of shame if you dispute their shemantics, Right? I for one am totally anti-Shem sham of shame. I AM not Anti-Christ. I am not against the NAME above every Name…JESUS the LORD. If you are Pro-Shemitic you are Opposed to the Name of Christ and are Deceived, because God has sent you strong delusion and you believe the LIE. Be advised these shemites are anti-Christ. I am proud to be anti-Shemite. Are you? Their Shembolics…..
10 And they cried with a loud voice, saying, How long, O Lord, holy and true, dost thou not judge and avenge our blood on them that dwell on the earth? 11 And white robes were given unto every one of them; and it was said unto them, that they should rest yet for a little season, until their fellowservants also and their brethren, that should be killed as theywere, should be fulfilled. 13 And the stars of heaven fell unto the earth, even as a fig tree casteth her untimely figs, when she is shaken of a mighty wind. 14 And the heaven departed as a scroll when it is rolled together; and every mountain and island were moved out of their places. 17 For the great day of his wrath is come; and who shall be able to stand? Hi, constantly i used to check blog posts here early in the morning, as i enjoy to find out more and more. and…………………………………………………………………………..you “Used to”………………………………..and? Have you learned anything Nadine?